If you have a website and you would like to become an affiliate of FantasyTrophies.com, you can start collecting extra income by joining our pay-per-sale program. You’ll receive a commission of 5% of any product sold. That comes out to an impressive $18.75 for our best selling trophy, The Throwback. Just take a few minutes to fill out the simple, secure form and start earning extra cash that is sent directly to your account. Once you complete the form you’ll be able to choose banner and text ads to put on your site to help generate sales and get the ball rolling. It’s that simple. And with a 30 day window built in, you’ll receive a payment even if a league orders their trophy a month after their initial visit. Thanks for your interest and I look forward to your support as an affiliate. Start earning 10% commission now! 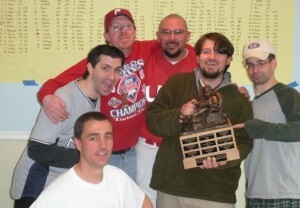 Next post: Fantasy NASCAR fan makes history- takes home trophy.